Mississauga, Ontario: RotoPrecision Inc., a Canadian-based provider of precision mechanical and power transmission components, is pleased to announce that it has entered into an agreement with Ruland Manufacturing Co., Inc. to become its Master Distributor in Canada for their complete product range of shaft collars and couplings. For more than 70 years, Ruland has been producing “thoughtfully designed” and “carefully made” products from its Marlborough, MA manufacturing facility. Through continuous innovation, manufacturing control and a wide-range of proprietary processes including special materials and surface treatments, single-point facing shaft collars, anti-vibration coupling hardware and precision honing, Ruland continues to drive the evolution of product performance and appearance. Ruland manufactures a full range of shaft collars, rigid couplings and flexible couplings including beam, bellows, oldham, jaw and disc. Recent product line extensions include metric shaft collars, metric rigid couplings, step bore couplings and motion control couplings. 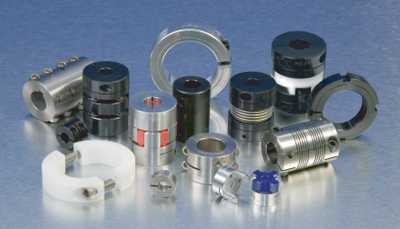 We are very excited to add Ruland’s excellent range of couplings and shaft collars to RotoPrecision’s family of world-class products. Ruland’s reputation as the leading manufacturer in their field will complement perfectly RotoPrecision’s existing products and services. Given its strong presence and solid reputation for distributing premium products, RotoPrecision will be a great partner for Ruland in Canada. We look forward to a long and successful relationship between our companies.